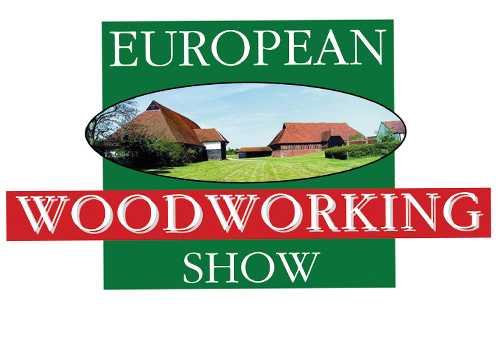 The fifth European Woodworking Show is being held at this historic venue in Essex on Saturday 21 and Sunday 22 September. Larger and even more diverse that last years successful event the European Woodworking Show is targeted towards woodworking hobbyists and showcases a wide variety of woodworking skills, techniques, crafts and woodworking tools. 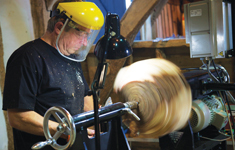 The show is loosely arranged into five woodworking zones: Workshop Machinery, Woodcarving, Hand Tools, Woodturning and a Traditional Crafts Zone with a mix of over 80 top class exhibitors plus food stalls, a story teller and St Peters Brewery. A wide variety of tools are on sale from small workshop machinery and power tools to a superb selection of hand tools, workbenches, books, short course providers, timber, finishes, furniture and craft. 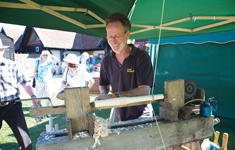 Demonstrations include pole-lathe turning, Japanese joinery, chainsaw carving, chair making, boat building, folk and traditional carving, pyrography, woodturning, rake making, shingle making, basket making, timber hewing and much more. Demonstrators from as far a field as Japan, the USA and France complement a strong UK presence. 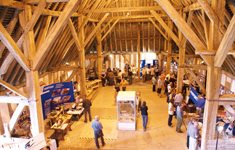 Cressing Temple Barns is a visitor attraction in its own right. 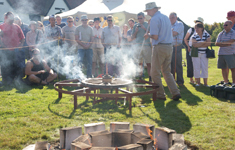 The show is mostly held within the historic barns and outbuildings with some outside stalls and large marquees. There is a large walled garden which is perfect for an autumn picnic. The venue is situated on the B1018 between Braintree and Witham. The barns and most of the outbuildings are wheelchair accessible. Parking is free but no dogs are permitted. See below for further details.